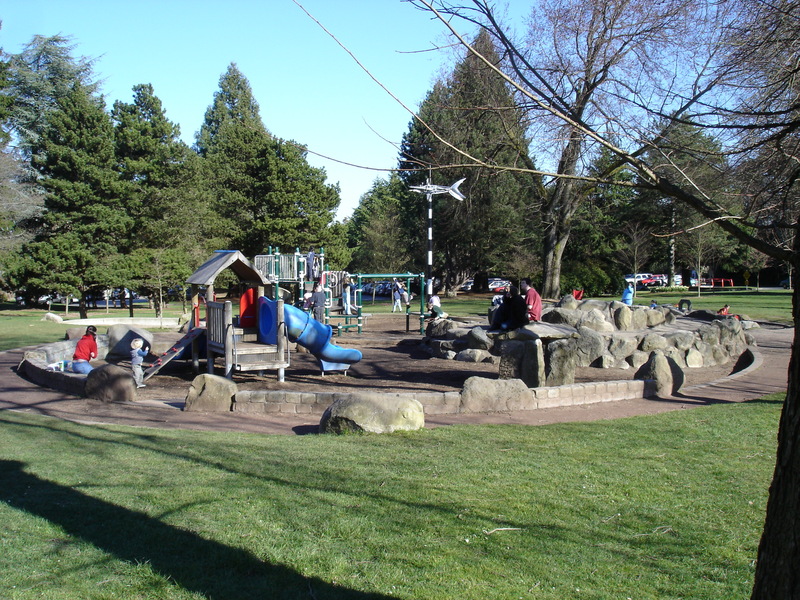 This play area was another inspiration that prepared Jack to act when he found the property for Fremont Peak Park. Bob and Cathy had raised a large sum of money to help refurbish this play area, so they were amongst the first people he called to find out how to make a park. Later Jack found out that Greg Zuhl led this park project along with several others in Phinney Ridge. Greg was great source of information in the early days of Fremont Peak Park. The Woodland Park Children’s Play Area is a compact play area with very high quality play equipment and surfaces. It is well worth a look if you have play areas on the brain. Projects we admire and find inspiring.